An email notification will be sent to all of the Authorized Representatives of the pharmacy approximately 75 days (i.e. 2.5 months) before the pharmacy licence expires during the transition period. Upon receipt of this notification, the Authorized Representatives of the pharmacy will be able to submit their pharmacy licence renewal application through the College’s secure eServices website. All deliverables must be submitted no later than 30 days before the pharmacy licence expires. It is important to note that different requirements will be available for submission at different points during the pharmacy licence renewal process. You can order a BC Company Summary through a legal search house or Corporate Online on the BC Registry Services Site. The summary is provided in pdf format and can be delivered by email. If you are not sure how to obtain your BC Company Summary, speak with a lawyer or the law firm who incorporated your company. A company must maintain a Central Securities Register (CSR) in accordance with the requirements in the Business corporations Act. You can obtain this document from either the lawyer or law firm who incorporated your company, or from the individual who is responsible for maintaining this document within your corporation. Please note that only one file can be uploaded for each document type. Submissions containing multiple documents must be compressed prior to upload. Authorized Representatives must provide the names, email contacts and other required information for each indirect owner in Form 7. The names of directors, officers, and shareholders of corporations should match those listed in the BC Company Summary and Central Securities Register. Additionally, a unique email address must be provided for each person in order to complete their individual Proof of Eligibility. The College recommends Authorized Representatives submit their ownership information as soon as possible after receipt of their 75 day notification as they will not be able to complete or submit their Proof of Eligibility in eServices until all ownership information has been validated by the College. Providing the College with ample time to validate ownership information in turn provides indirect owners with sufficient time to complete their Proof of Eligibility before the deadline. Failing to provide all the required information or upload the correct documents are the most common causes of delay in processing pharmacy renewal applications. The College recommends that Authorized Representatives review the main considerations and tasks involved in preparing for pharmacy licence renewal during the transition period as discussed in this ReadLinks article. After submitting their pharmacy’s ownership information on eServices, Authorized Representatives will be taken to the Payment Page where they can submit their pharmacy licence renewal fee. Fees can be submitted at a later date by simply navigating back to the Ownership Portal. The pharmacy licence renewal fee must be received no later than 30 days before the pharmacy licence expires. Proof of Eligibility criteria enable the College to better protect the public by determining the suitability of a manager or owner. For more about the Proof of Eligibility requirements and how to meet them, take a look at this ReadLinks article. This includes all directors of the direct owner for the first pharmacy licence renewal application during the transition period. For subsequent pharmacy licence renewals under the same direct owner, this will include directors, officers and shareholders (if non-publicly traded). This includes all officers and shareholders of the direct owner and, if applicable, all directors, officers and shareholders of the parent company (if non-publicly traded and incorporated in BC) for the first pharmacy licence renewal application during the transition period. Note: You will not need to submit a Criminal Record History if you have submitted one to the College within the past 5 years. 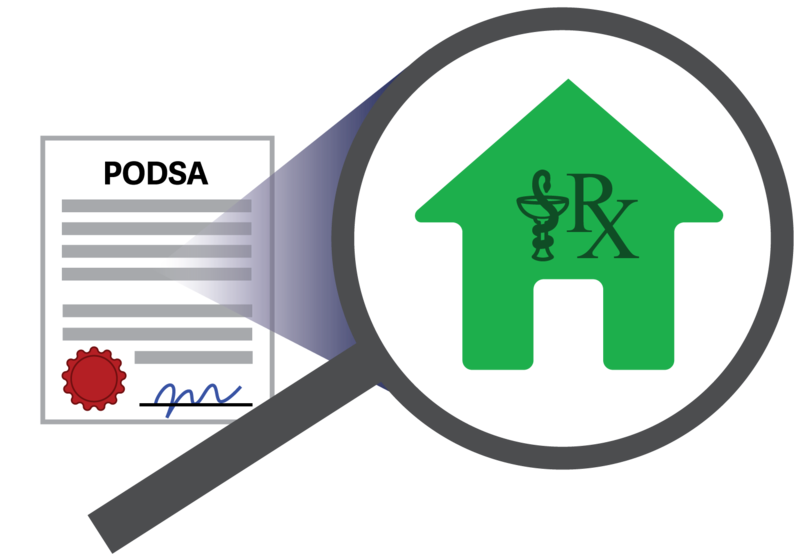 Only after the College has validated your pharmacy’s ownership information, as submitted by the Authorized Representative, will all other indirect owners will be provided with their login credentials and given access to eServices to submit their Proof of Eligibility. The Proof of Eligibility Page can be accessed on the “My Profile” tab on eServices. When completing your Criminal Record History, you will be asked to provide your 5-digit eServices ID. Please note that this is not the same number as your pharmacist/pharmacy technician registration number. Please also enter your legal first and last name exactly as it appears in your eServices account. Note: Once submitted, the approval status of your individual Attestation and CRH will remain “Pending” on the Pharmacy Summary Page until all required individuals from your pharmacy have submitted their Proof of Eligibility requirements. Upon receipt of the 75 day renewal notification, both the Authorized Representative and the pharmacy manager will be given the necessary access to eServices to upload the business licence. The business licence can be uploaded on the pharmacy portal. Watch for additional New Pharmacy Ownership articles in the months ahead on ReadLinks. These articles feature important new requirements for pharmacy licensure and renewals to help pharmacies prepare to meet the new requirements.